Dennis J. Hill, 67, our strong, hardworking, humorous and personable husband, father, grandfather, brother, uncle and friend to everyone, left us suddenly in Gunnison on September 8, 2018, from a massive heart attack. He was born in Panguitch, Utah July 18, 1951 to Forrest and Lucele Riggs Hill. His family moved to the Gunnison Valley when he was 4. He learned how to drive a tractor when he was very young, and told his mother he didn’t need to go to school. He could just stay home and drive the tractor. Dennis graduated from GVHS in 1969, then attended Utah Technical College in Salt Lake, earning a degree in diesel mechanics. 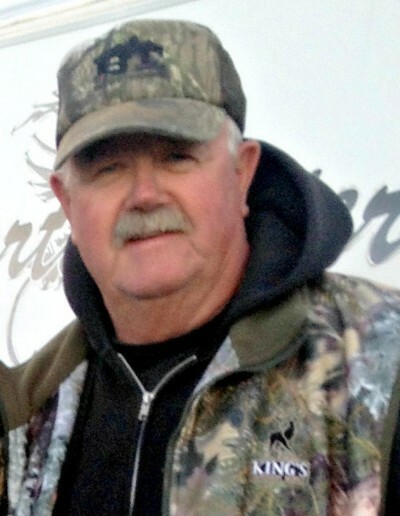 He loved the simple things in life: hunting, fishing, camping, boating and farming. He loved all his family, although it might have been shown by a strong hand grip on the back of your neck or a shout to the boys. He died doing what he loved doing best—working-- with his hands dirty and his boots on (even if they were a crappy pair of tennis shoes). Funeral services will be held Friday, September 14, 2018, at 11:00 a.m. in the Gunnison Stake Center, 80 West Center, where friends may call Thursday evening from 6-8 p.m. or Friday morning from 9:30 - 10:30 a.m. Burial will be in the Gunnison Cemetery.